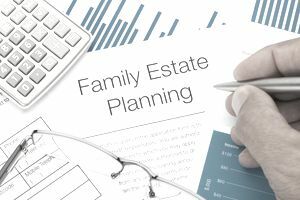 Many estate planning attorneys make it a point to educate their prospective clients about the fundamentals of estate planning. This is true whether or not the prospective clients already have an estate plan because often times even people who already have an estate plan have no idea what it says or means. Education is essential because it takes the complex process of estate planning and breaks it down into smaller and easier to understand parts. Once you understand one part, you can move on to the next and the next until all of the sudden everything becomes crystal clear. You will then realize that estate planning isn't simply about signing a bunch of legal documents that get spit out of a computer. Instead, it's about making informed decisions that lead to the creation of legal documents that put your wishes, goals, and final instructions in writing, resulting in the one basic thing that estate planning is really all about—creating peace of mind for you and your loved ones. If you have been lucky enough to work with an estate planning attorney who believes in educating clients about the estate planning process, then you'll already have a good grasp of the concepts discussed below. If not, then read on to take a crash course in estate planning. What is the purpose of an estate plan? Estate planning is not just about planning for what happens to your property after you die, it is also about planning for what happens to you and your property if you become mentally incapacitated. Many times mental disability planning is either not discussed or only touched upon during the estate planning process. This is a mistake since statistics show that while people are living longer, they are not necessarily living healthier. Aside from this, accidents can happen at any time that can render you incapable of making personal and financial decisions. Therefore, your estate plan should address both planning for incapacity and planning for death. Which taxes affect an estate? There are four types of taxes that can affect your estate: estate taxes (including state estate taxes), gift taxes, generation skipping transfer taxes, and income taxes. Understanding if and how these taxes will affect your estate, and, thus, the inheritance that will be received by your beneficiaries, is an essential part of the estate planning process. How is your property titled? This is a simple concept - how your property is titled will dictate who will inherit it after you die - and yet day in and day out estate planning attorneys meet with people who do not know how all of their property is titled. Is it in joint names with right of survivorship, tenants by the entirety, tenants in common, or in the revocable living trust? Or, for certain types of assets (including electronic), who has been named as the primary and secondary beneficiaries? Understanding who owns what is the real key to good estate planning since who owns it now leads to who will inherit it after death. For example, if your will leaves everything equally to your brother and sister but all of your property is titled in joint names with right of survivorship with your sister, then all of your property will go to your sister after you die and absolutely nothing will go to your brother. Then what was the purpose of your will? What is a revocable living trust and do you need one? A revocable living trust is a legal document that covers three phases of your life: what happens to you and your property while you're alive and well, if you become mentally incapacitated, and after you die. One of the main reasons people use a revocable living trust as part of their estate plan is to avoid probate, but it is also a powerful tool to keep your estate plan a private family matter. And because estate planning is not one size fits all, there will be many factors that need to be considered before deciding if a revocable living trust is right for you. What are the options for paying your beneficiaries their inheritance? Once you have put a plan in place to care for you and your property if you become mentally incapacitated, you can focus on who will inherit your property and how they will inherit it after you die. There are many different ways you can leave your property to your beneficiaries - outright in one lump sum, in phases or stages, in lifetime discretionary trusts, and everything in between. It is also important to understand the difference between providing for minor beneficiaries versus providing for adult beneficiaries. Aside from this, you can attach strings to your property and limit how your property can be used. What are the essential estate planning documents? The building blocks of a good estate plan include a Last Will and Testament, Advance Health Care Directive, Living Will, and Power of Attorney. Aside from these documents, as mentioned above, some people may benefit from including a Revocable Living Trust as part of their estate plan. How often should you review your estate plan? Once you have your estate plan in place, you cannot simply stick it in a drawer and forget about it. Day in and day out things will happen that will affect your estate plan—you may get married or divorced, have children or grandchildren, lose a loved one, move to a new state, or buy or sell a business. Aside from this, state and federal laws are changing all of the time. All of these things, and many others, will affect your estate plan. That's why you need to review your plan on a regular basis to ensure that it still meets your estate planning goals. Should Your Executor and Successor Trustee Be the Same Person?